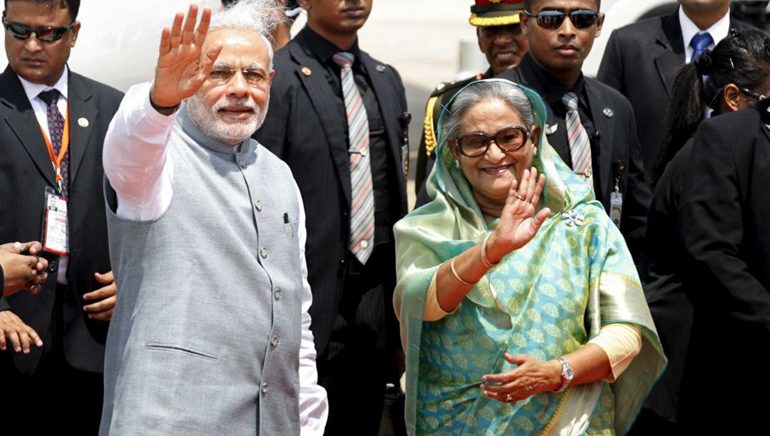 Prime Minister Narendra Modi sealed several deals during his last visit to Bangladesh. In a two-day visit, India & Bangladesh signed 22 pacts to deepen cooperation besides endorsing the historic Land Boundary Agreement or LBA. The Indian Parliament ratified the agreement after 41 years. This was Modi’s one of the biggest achievement, as the agreement was signed in 1974 and Bangladesh had endorsed it the same year, but India ratified in 2015. However, once it happened, the visit to Bangladesh was immediately planned by Modi. Some of the most important pacts included an agreement on coastal shipping, a MoU on setting up of Indian Economic Zones and allowing Life Insurance Corporation to operate in the country. With a view to boosting connectivity and enhance people-to-people contact, two bus services Kolkata- Dhaka-Agartala and Dhaka-Shillong-Guwahati were flagged jointly by PM Modi and Bangladesh PM Hasina. The tour ended with an important event where Atal Bihari Vajpayee was to be given the Award of Bangladesh Liberation War Honour, which was received by Narendra Modi, on his behalf.